Loss of the maxillary first and second molars is often the reason for...read more. 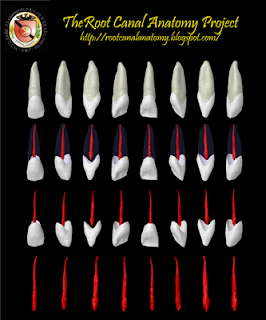 The longest tooth in the dental arch, the canine has... read more. Loss of the maxillary first and second molars is often the reason for considering the third molar as a strategic abutment. The other indication for endodontic treatment and full coverage is a fully functioning mandibular third molar. Careful examination of root morphology is important before recommending treatment. Many third molars present adequate root formation; and given reasonable accessibility, there is no reason why they cannot remain as functioning dentition after endodontic therapy. 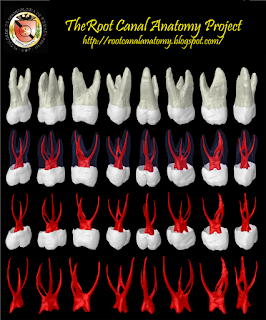 The radicular anatomy of the third molar is completely unpredictable, and it may be advisable to explore the root canal morphology before promising success. As an alternative to conventional hand instrumentation, the use of engine-mounted files in reciprocating handpieces may simplify the problem of accessibility. Precurving instruments helps guide them through tortuous canals. For visual and mechanical convenience the access may be overextended slightly with the knowledge that full coverage is mandatory. All caries, leaking restorations, and pulpal calcifications must be removed prior to instituting treatment. 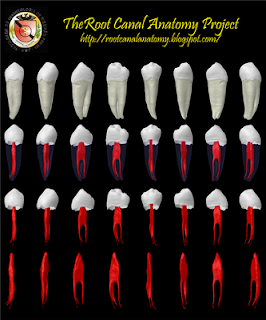 Some third molars will have only a single canal, some two, and most three. The orifice openings may be made in either a triangular arrangement or a nearly straight-line (Burns RC, Buchanan LS. 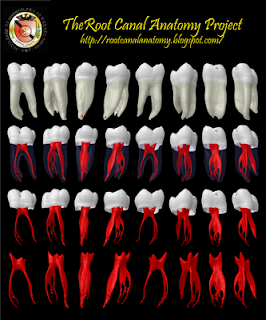 Tooth Morphology and Access Openings. Part One: The Art of Endodontics in Pathway of Pulp, 6th Ed. p. 150. Coronally, the maxillary second molar closely resembles the maxillary first molar, although it is not as square and massive. Access in both teeth can usually be adequately prepared without disturbing the transverse ridge. The second molar is often easier to prepare because of the straight-line access to the orifices. The distinguishing morphologic feature of the maxillary second molar is its three roots grouped close together, and sometimes fused. 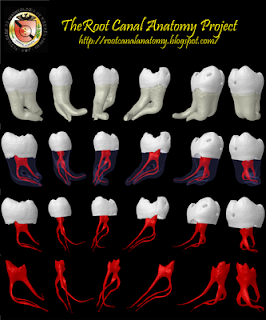 The parallel root canals are frequently superimposed radiographically. They are usually shorter than the roots of the first molar and not as curved. The three orifices may form a fiat triangle, sometimes almost a straight line. The floor of the chamber is markedly convex, giving a slightly funnel shape to the canal orifices. Occasionally the canals curve into the chamber at a sharp angle to the floor, making it necessary to remove a lip of dentin so the canal can be entered more in a direct line with the canal axis. Complications in access occur when the molar is tipped in distal version. Initial opening with an end-cutting fissure bur is followed by a short-shanked round bur, which is best suited to uncover the pulp chamber and shape the access cavity. Then small hand instruments are used to establish canal continuity and working length. The bulk of the cleaning and shaping may now be accomplished with engine-mounted files on reciprocating handpieces. To enhance radiographic visibility, especially when there is interference with the malar process, a more perpendicular and distal-angular radiograph may be exposed. 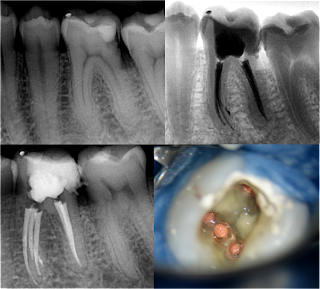 All caries, leaking restorations, and pulpal calcifications must be removed prior to initiating endodontic treatment. Full occlusal coverage is mandatory to ensure against vertical cuspal or crown-root fracture. Internal reinforcement, when indicated, should be incorporated immediately after endodontic treatment. (Burns RC, Buchanan LS. 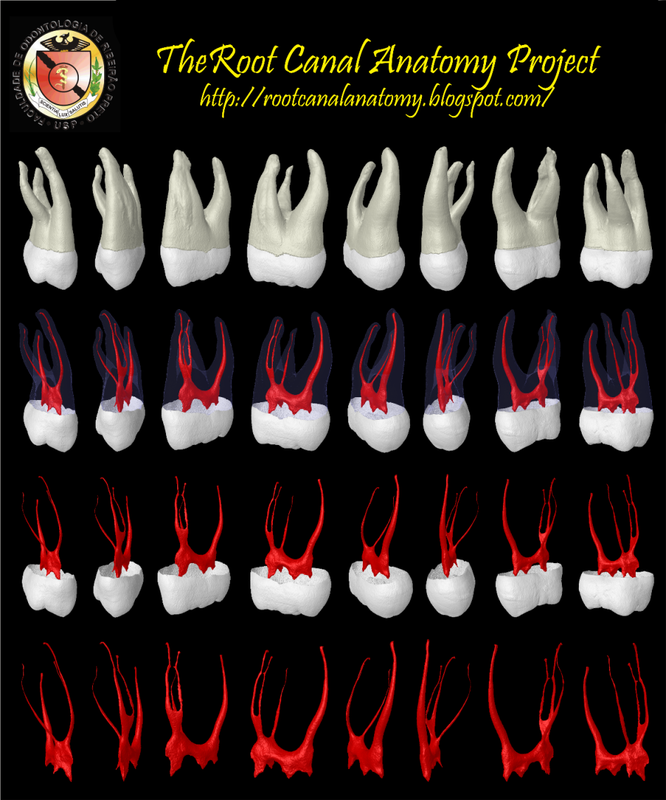 Tooth Morphology and Access Openings. Part One: The Art of Endodontics in Pathway of Pulp, 6th Ed. p. 148). 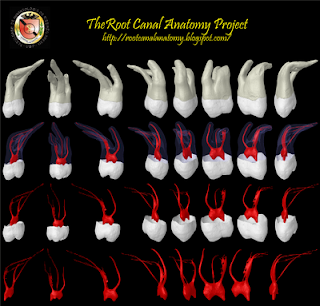 The tooth largest in volume and most complex in root and root canal anatomy, the "6-year molar" is possibly the most treated, least understood, posterior tooth. 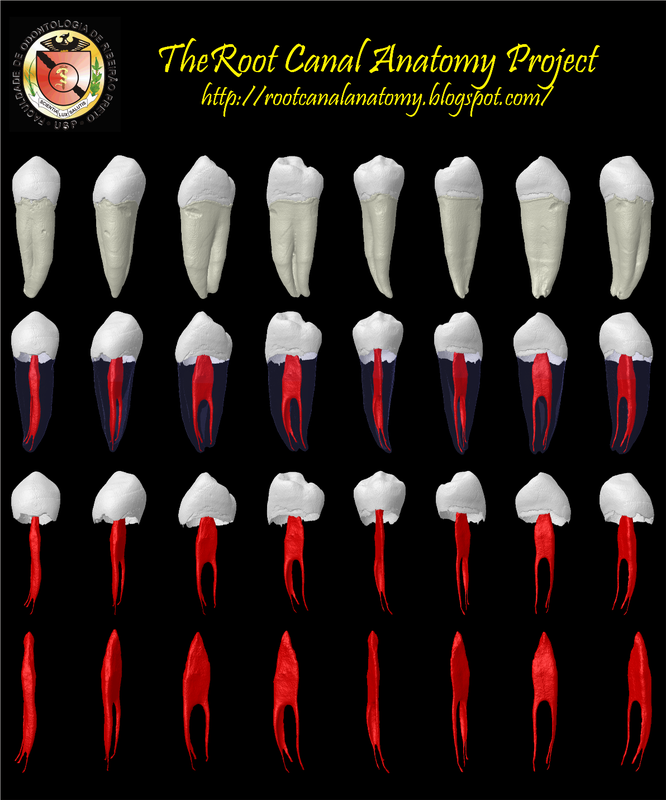 It is the posterior tooth with the highest endodontic failure rate and unquestionably one of the most important teeth. Three individual roots of the maxillary first molar provide a tripod: the palatal root, which is the longest, and the distalbuccal and mesial-buccal roots, which are about the same length. The palatal root is often curved buccally in its apical third. Of the three canals, it offers the easiest access and has the largest diameter. Its orifice lies well toward the palatal surface and it is sharply angulatcd away from the midline. Crosssectionally it is flat and ribbonlike, requiring close attention to debridement and instrumentation; fortunately there is rarely more than one apical foramen. The distal-buccal root is conical and usually straight. It invariably has a single canal. The mesial-buccal root of the first molar has generated more research, clinical investigation, and pure frustration than has probably any other root in the mouth. Green9 stated that two foramina were present in 14% of mesial-buccal roots of the maxillary first molars studied and two orifices were noted in 36%. Pineda reported that 42% of these roots manifested two canals and two apical foramina. Slowey supported Pineda's conclusions within a few percentage points. 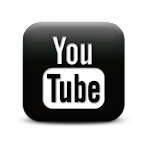 Kulild indicated that a second ML canal was contained in the coronal half of 95.2% of the mesial-buccal roots examined. The canals were located with hand instruments (54.2%), bur (31.3%), and microscope (9.6%). Each tooth was sectioned in 1-mm increments and although not all canals reached the apex, this study revealed that 71.1% had two patent canals at the apex. 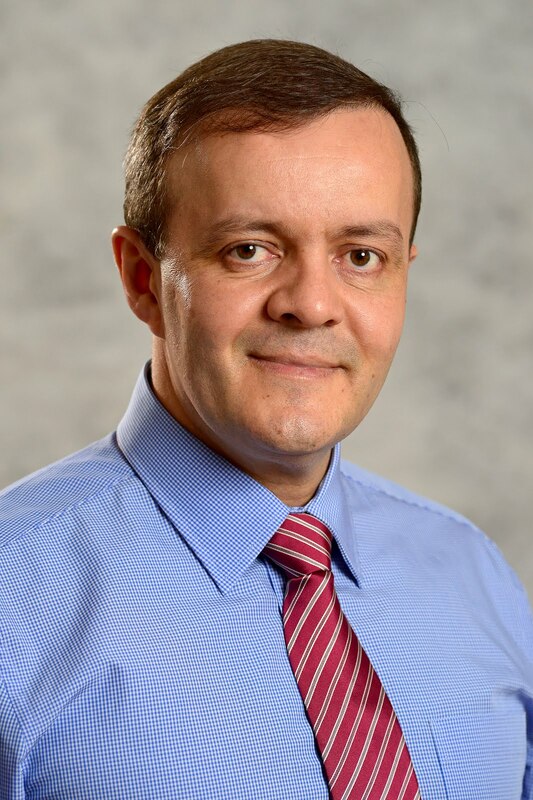 It is the author's opinion that the spaces located beyond true canals were finlike extensions found commonly in the broad buccolingual root of the maxillary first molar. 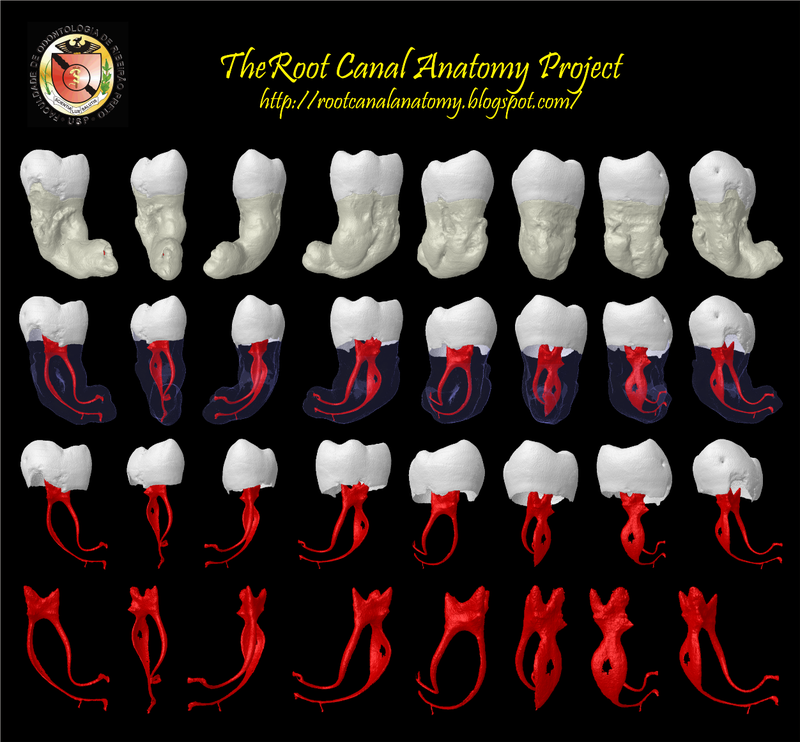 The fact that almost half of these roots bear two canals, whether they join into a single foramen or not, is enough reason always to assume that two canals exist until careful examination proves otherwise. The extra orifice lies centrally somewhere between the mesial-buccal and palatal orifices. Kulild also reported that the mesial-lingual canal orifice averaged 1.82 mm lingual to the mesial-buccal canal orifice. Searching for the extra orifice is aided by using the fiberoptic light and by locating the developmental line between the mesial-buccal and palatal orifices. The second canal within the mesial-buccal root is always smaller than the other canals and, so, is often more difficult to clean and shape. Gaining access to the primary canal within the mesial-buccal root can be made easier by improving the angle of approach. All caries, leaking restorations, and pulpal calcifications must be removed prior to initiating endodontic treatment. After treatment it is mandatory to institute full coverage to ensure against vertical cuspat or crown-root fracture. It is also advisable to place internal metal reinforcement whenever there is a significant loss of coronal tooth structures. (Burns RC, Buchanan LS. 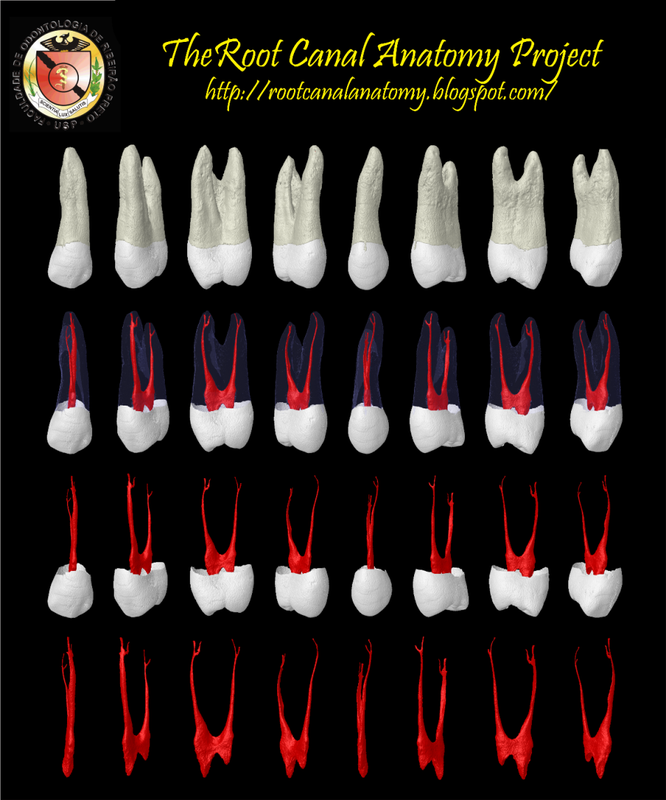 Tooth Morphology and Access Openings. Part One: The Art of Endodontics in Pathway of Pulp, 6th Ed. p. 148). 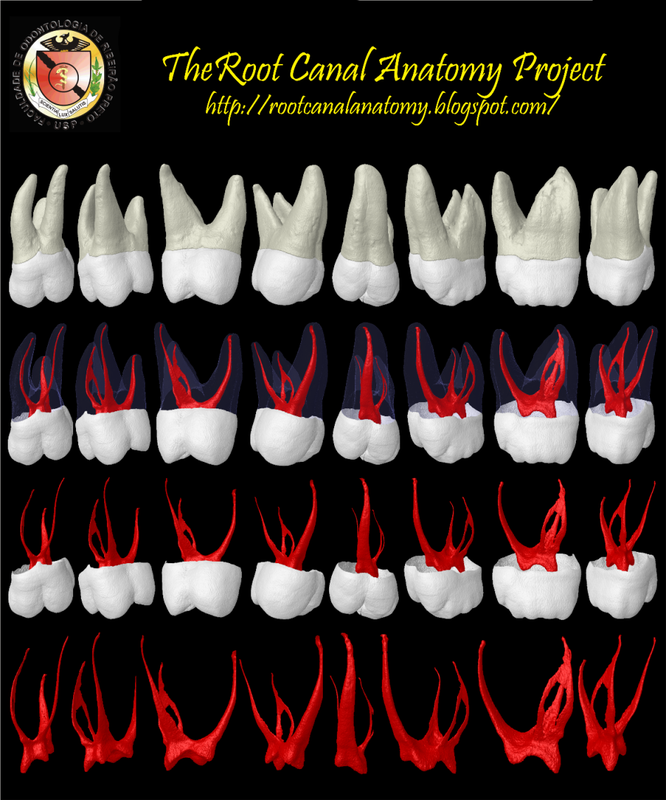 Similar to the first premolar in coronal morphology, the second premolar varies mainly in root form. Its crown is narrower in the buccal-palatal dimension and slightly wider in the mesial-distal. The canal orifice is centrally located but often appears more as a slot than as a single ovoid opening. When the slot-shaped opening appears, the clinician must assume that the tooth has two canals until proved otherwise. The basic outline of the tooth is slightly ovoid but wider from mesial to distal than the outline of the first premolar. All caries and leaking restorations must be removed and replaced with a suitable temporary restoration. Radicular morphology may present two separate canals, two canals anastomosing to a single canal, or two canals with interconnections or "webbing." Accessory and lateral canals may be present, but less often than in incisors. 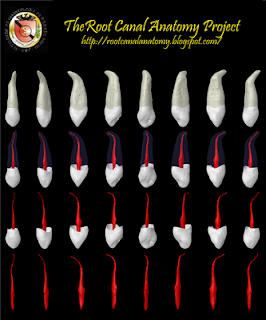 Vertucci and associates stated that 75% of maxillary second premolars in their study had one canal at the apex, 24% had two foramina, and 1% had three foramina. Of the teeth studied, 59.5% had accessory canals. These clinicians also reported that when two canals join into one, the palatal canal frequently exhibits a straight-line access to the apex. 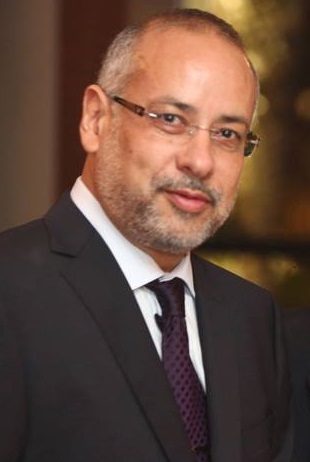 They further pointed out that "if, on the direct periapical exposure, a root canal shows a sudden narrowing, or even disappears, it means that at this point the canal divides into two parts, which cither remain separate (type V) or merge (type II) before reaching the apex." 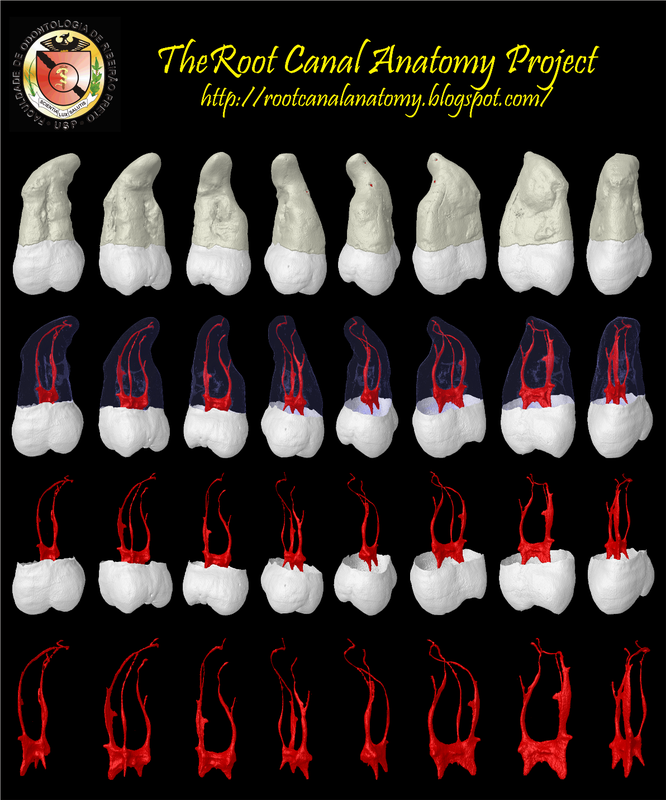 The root length of the maxillary second molar is much like that of the first premolar; and apical curvature is not uncommon, particularly with large sinus cavities. After endodontic treatment, full occlusal coverage is mandatory to ensure against vertical cuspal or crown-root fracture (Burns RC, Buchanan LS. Tooth Morphology and Access Openings. Part One: The Art of Endodontics in Pathway of Pulp, 6th Ed. p. 144). 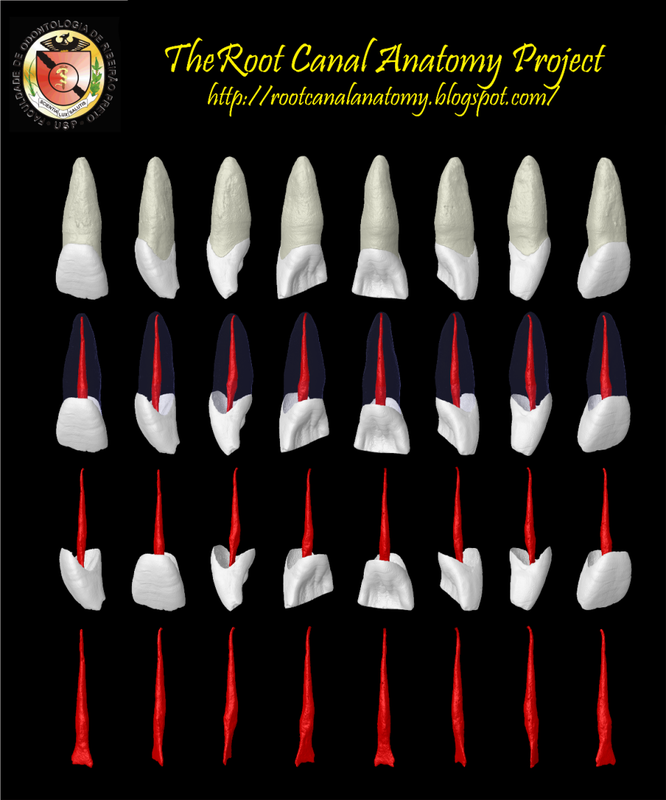 Most commonly birooted, the maxillary first premolar is a transitional tooth between incisor and molar. Loss of the posterior molars subjects the premolars to heavy occlusal loads. Removable appliances increase torque on these frequently clasped teeth, and the additional forces, in concert with deep carious lesions, can induce heavy calcification of the pulp chambers. 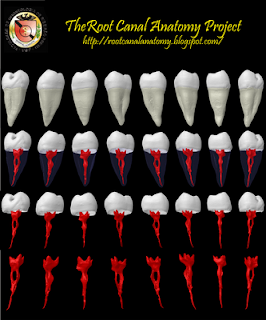 Early posterior tooth loss often causes rotation, which can complicate the locating of pulp chambers. The canal orifices lie below and slightly central to the cusp tips. The initial opening is in the central fossa and is ovoid in the buccal-palatal dimension. When one orifice has been located, the clinician should look carefully for a developmental groove leading to the opening of another canal. 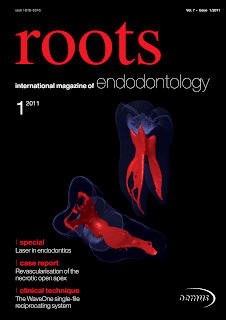 The angulation of the roots may be determined by positioning of the endodontic explorer. Radiographic division of the roots on a routine periapical film often indicates tooth rotation. Divergent roots require less occlusal access extension. Conversely, parallel roots may require removal of tooth structure toward the cusp tips. All caries and leaking restorations must be removed and a suitable temporary restoration placed. Radicular irregularities consist of fused roots with separate canals, fused roots with interconnections or "webbing," fused roots with a common apical foramen, and the unusual but always to be considered three-rooted tooth. In the last situation the buccal orifices are not clearly visible with a mouth mirror. Directional positioning of the endodontic explorer or a small file will identify the anatomy. Cams and Skidmore reported that the incidence of maxillary first premolars with three roots, three canals, and three foramina was 6% of the cases studied. The root is considerably shorter than in the canine, and distal curvature is not uncommon. The apical foramen is usually close to the anatomic apex. Root lengths, if the cusps are intact and used as reference points, are usually the same. The apical portion of the roots often tapers rapidly, ending in extremely narrow and curved root tips. The prevalence of mesial-distal vertical crown or root fracture of the first premolar requires that the clinician remove all restorations at the inception of endodontic therapy and carefully inspect the coronal anatomy with a fiberoptic light. After endodontic treatment, full occlusal coverage is mandatory to ensure against vertical or crown or root fracture (Burns RC, Buchanan LS. 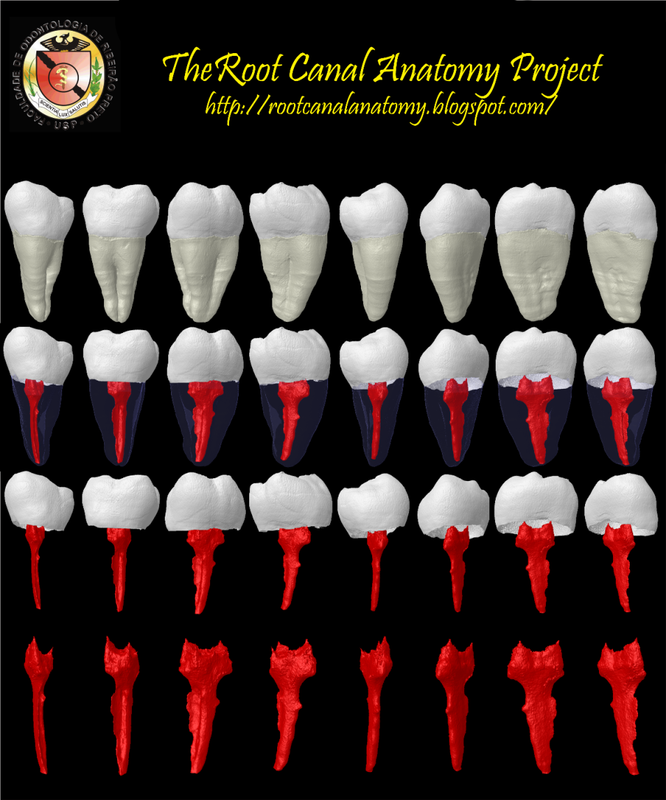 Tooth Morphology and Access Openings. Part One: The Art of Endodontics in Pathway of Pulp, 6th Ed. p. 142). The longest tooth in the dental arch, the canine has a formidable shape designed to withstand heavy occlusal stress. Its long, thickly enameled crown sustains heavy incisal wear but often displays deep cervical erosion with aging. The access cavity corresponds to the lingual crown shape and is ovoid. To achieve straight-line access, one often must extend the cavity incisally, but not so far as to weaken the heavily functioning cusp. Initial access is made slightly below midcrown on the palatal side. If the pulp chamber is located deeper, a no. 4 or 6 long-shanked round bur may be required. The sweeping-out motion of this bur will reveal an ovoid pulp chamber. The chamber remains ovoid as it continues apically through the cervical region and below. Attention must be given to directional tiling so this ovoid chamber will be thoroughly cleaned. The radicular canal is reasonably straight and quite long. Most canines require instruments that are 25 mm or longer. The apex will often curve—in any direction—in the last 2 or 3 mm. Canine morphology seldom varies radically, and lateral and accessory canals occur less frequently than in the maxillary incisors. This buccal bone over the eminence often disintegrates, and fenestration is a common finding. The apical foramen is usually close to the anatomic apex but may be laterally positioned, especially when apical curvature is present (Burns RC, Buchanan LS. 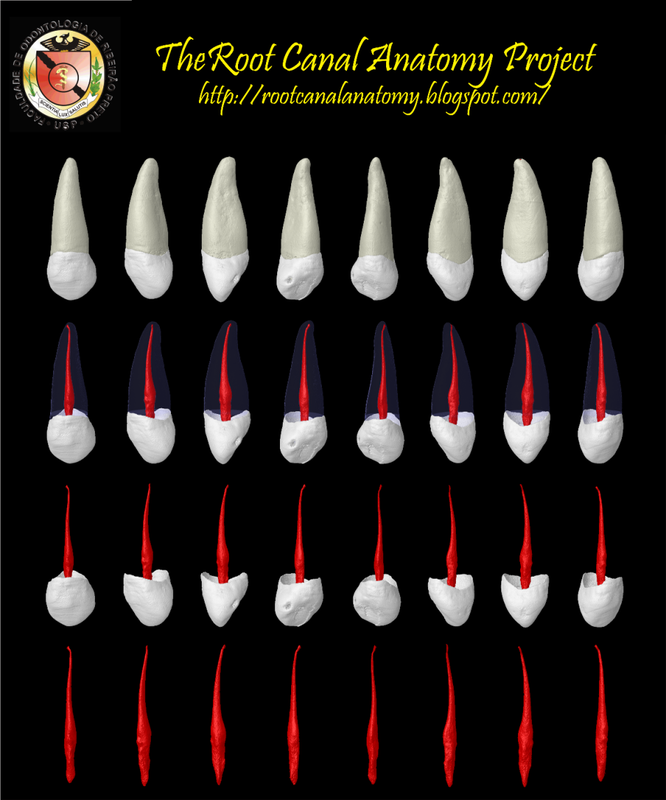 Tooth Morphology and Access Openings. Part One: The Art of Endodontics in Pathway of Pulp, 6th Ed. p. 140). Tending toward an oval shape, the crown of the maxillary lateral incisor is as near to ideal for endodontic access as that of the central incisor. Fiber-optic illumination may, likewise, be helpful during access to this tooth. The initial entry, with the end-cutting fissure bur, is made just above the cingulum. The access cavity is ovoid. Often the fissure bur will engage the shallow pulp chamber while making the initial opening. When the chamber roof is removed, a no. 4 or 6 round bur is used to sweep out all remaining caries, discoloration, and pulp calcifications. It may be necessary to return to the fissure bur in refining the ovoid access cavity. Adequate flaring is then accomplished with round burs. Care must be exercised that explorers, endodontic cutting instruments, and packing instruments do not contact the access cavity walls. To ensure that the canals remain clean and hermetically scaled, all caries and leaking restorations must be removed and replaced with temporary sealing materials. The radicular cross-sectional pulp chamber varies from ovoid at the cervical to round at the apical foramen. The root is slightly conical and tends toward curvature, usually toward the distal, in its apical portion. The apical foramen is generally closer to the anatomic apex than in the maxillary central but may be found on the lateral aspect within 1 or 2 mm of the apex. On rare occasions, access is complicated by a dens-in-dente, an invagination of part of the lingual surface of the tooth into the crown. This creates a space within the tooth that is lined by enamel and communicates with the mouth. Dens in dente most often occurs in maxillary lateral incisors, but it can occur in other teeth. These teeth are predisposed to decay because of the anatomic malformation, and the pulp may die before the root apex is completely developed. This mostly coronal mass should be dealt with mechanically and either removed or bypassed. 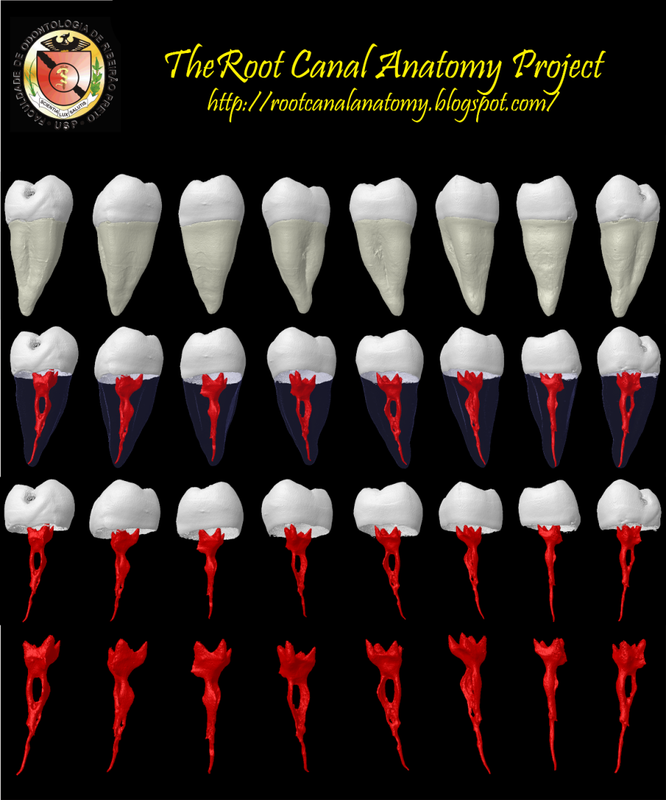 Goon and others reported the first case of complex involvement of the entire facial aspect of a tooth root. An alveolar crest to apex facial root defect led to early pulpal necrosis and periapical rarefaction (Burns RC, Buchanan LS. Tooth Morphology and Access Openings. Part One: The Art of Endodontics in Pathway of Pulp, 6th Ed. p. 138). Somewhat rectangular from the labial aspect and shovelshaped from the proximal, the crown of the maxillary central is more than adequate for endodontic access and is positioned ideally for direct mirror visualization. This tooth is especially suitable for a first clinical experience because more than a third of its canal is directly visible. Visualization of the canal proper may be enhanced with fiberoptic illumination. The first entry point, with the end-cutting fissure bur, is made just above the cingulum. The direction should be in the long axis of the root. A roughly triangular opening is made in anticipation of the final shape of the access cavity. Often, penetration of the shallow pulp chamber occurs during initial entry. When the sensation of "dropping through the roof" of the pulp chamber has been felt, the longshanked no. 4 or 6 round bur replaces the fissure bur. The "belly" of the round bur is utilized to sweep out toward the incisal; one must be certain to expose the entire chamber completely. It may be necessary to return to the fissure bur to extend and refine the final shape of the access cavity. All caries, grossly discolored dentin, and pulp calcifications are removed at this time. Leaking restorations or proximal caries should be removed and an adequate temporary restoration placed. Conical and rapidly tapering toward the apex, the root morphology is quite distinctive. Cross-sectionally the radicular canal is slightly triangular at the cervical aspect, gradually becoming round as it approaches the apical foramen. Multiple canals are rare, but accessory and lateral canals are common. 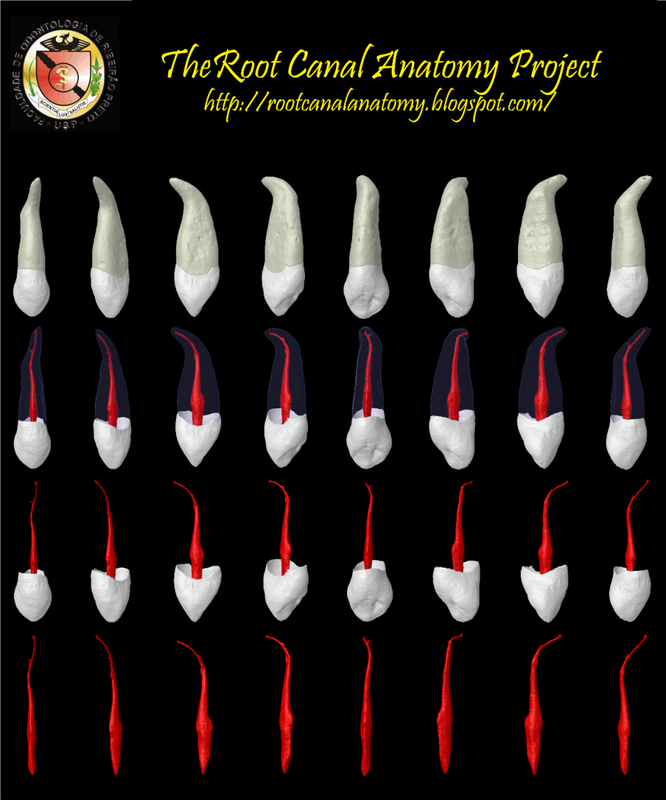 Kasahara and others studied maxillary central incisors to determine thickness and curvature of the root canal, condition of any accessory canals, and location of the apical foramen. 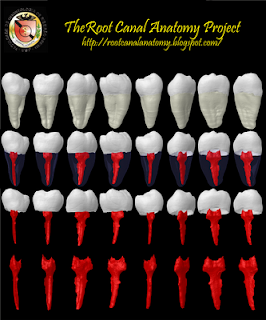 Data revealed that the thickness and curvature of canals showed adequate preparation at approximately a size 60 instrument at the apical constriction, that over 60% of the specimens showed accessory canals, and that the apical foramen was located apart from the apex in 45% of the teeth (Burns RC, Buchanan LS. Tooth Morphology and Access Openings. Part One: The Art of Endodontics in Pathway of Pulp, 6th Ed. p. 136). 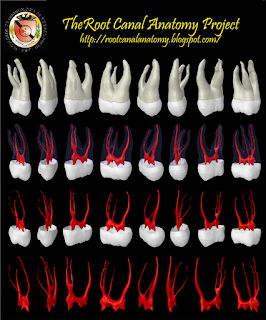 Anatomically unpredictable, the mandibular third molar must be evaluated on the basis of its root formation. Wellformed crowns are often supported by fused, short, severely curved, or malformed roots. Most teeth can be successfully treated endodontically, regardless of anatomic irregularities, but root surface volume in contact with bone is what determines long-term prognosis. The clinician may find a single canal that is wide at the neck and tapers to a single apical foramen. Access is gained through the mesial aspect of the crown. Distally angulated roots often permit less extension of the access cavity. Difficult accessibility in the arch occasionally can be simplified by the use of engine-mounted files on reciprocal handpieces. All caries, leaking restorations, and pulpal calcifications should be removed and replaced with adequate temporary restoration. If the tooth is in heavy occlusal function, full cuspal protection is indicated postendodontically (Burns RC, Buchanan LS. Tooth Morphology and Access Openings. Part One: The Art of Endodontics in Pathway of Pulp, 6th Ed. p. 164). 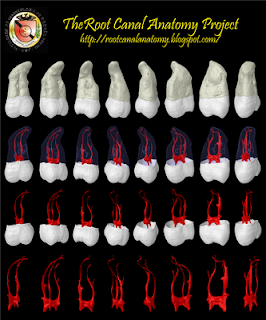 Somewhat smaller coronally than the mandibular first molar and tending toward more symmetry, the mandibular second molar is identified by the proximity of its roots. The roots often sweep distally in a gradual curve with the apices close together. 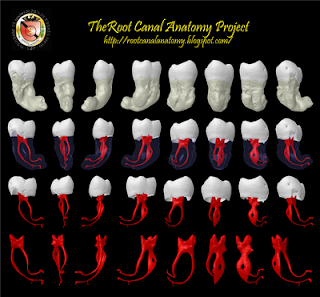 The degree and configuration of canal curvature were studied in the mesial roots of 100 randomly selected mandibular first and second molars. One hundred percent of the specimens demonstrated curvature in both buccal-lingual and mesial-distal views. Access is made in the mesial aspect of the crown, with the opening extending only slightly distal to the central groove. After penetration with the end-cutting fissure bur, the longshanked round bur is used to sweep outwardly until unobstructed access is achieved. The distal angulation of the roots often permits less extension of the opening than in the mandibular first molar. Close attention should be given to the shape of the distal orifice. A narrow, ovoid opening indicates a ribbon-shaped distal canal, requiring more directional-type filing. All caries, leaking fillings, and pulpal calcifications must be removed and replaced with a suitable temporary restoration prior to endodontic therapy. The mandibular second molar is the most susceptible to vertical fracture. After access preparation the clinician should utilize the fiberoptic light to search the floor of the chamber prior to endodontic treatment. The prognosis of mesial-distal crownroot fractures is very poor. Full occlusal coverage after endodontic therapy is mandatory to ensure against future problems with vertical fracture (Burns RC, Buchanan LS. 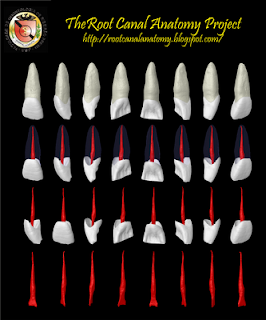 Tooth Morphology and Access Openings. Part One: The Art of Endodontics in Pathway of Pulp, 6th Ed. p. 162). The earliest permanent posterior tooth to erupt, the mandibular first molar seems to be the most frequently in need of endodontic treatment. It usually has two roots but occasionally three, with two canals in the mesial and one or two canals in the distal root. The distal root is readily accessible to endodontic cavity preparation and mechanical instrumentation, and the clinician can frequently sec directly into the orifice(s). The canals of the distal root are larger than those of the mesial root. Occasionally the orifice is wide from buccal to lingual. This anatomy indicates the possibility of a second canal or a ribbonlike canal with a complex webbing that can complicate cleaning and shaping. The mesial roots are usually curved, with the greatest curvature in the mesiai-buccal canal. The orifices are usually well separated within the main pulp chamber and occur in the buccal and lingual under the cusp tips. This tooth is often extensively restored. It is almost always under heavy occlusal stress; thus the coronal pulp chambers are frequently calcified. The distal canals are easiest to locate; once these locations arc positively identified, the mesial canals will be found in the aforementioned locations in the same horizontal plane. Because the mesial canal openings lie under the mesial cusps, they may be impossible to locate with conventional cavity preparations. It will then be necessary to remove cuspal hard tissue or restoration to locate the orifice. As part of the access preparation, the unsupported cusps of posterior teeth must be reduced. Remember, this tooth, like all posterior teeth, should always receive full occlusal coverage after endodontic therapy. Therefore a wider access cavity to locate landmarks and orifices is better than ignoring one or more canals for the sake of a "conservative" preparation, which may lead to failure. 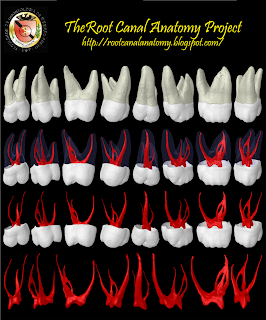 Skidmore and Bjørndal stated that approximately one third of the mandibular first molars studied had four root canals. When a tooth contained two canals, "they cither remained two distinct canals with separate apical foramina, united and formed a common apical foramen, or communicated with each other partially or completely by transverse anastomoses. If the traditional triangular outline were changed to a more rectangular one, it would permit better visualization and exploration of a possible fourth canal in the distal root." Multiple accessory foramina are located in the furcation areas of mandibular molars. They are usually impossible to clean and shape directly and are rarely seen, except occasionally on postoperative radiographs if they have been filled with root canal sealer or warmed gutta-percha. It would be proper to assume that if irrigating solutions have the property of "seeking out" and disposing of protein degeneration products, then the furcation area of the pulp chamber should be thoroughly exposed (calcific adhesions removed, etc.) to allow the solutions to reach the tiny openings. All caries, leaking restorations, and pulpal calcifications must be removed prior to endodontic treatment, and full cuspal protection and internal reinforcement are recommended (Burns RC, Buchanan LS. 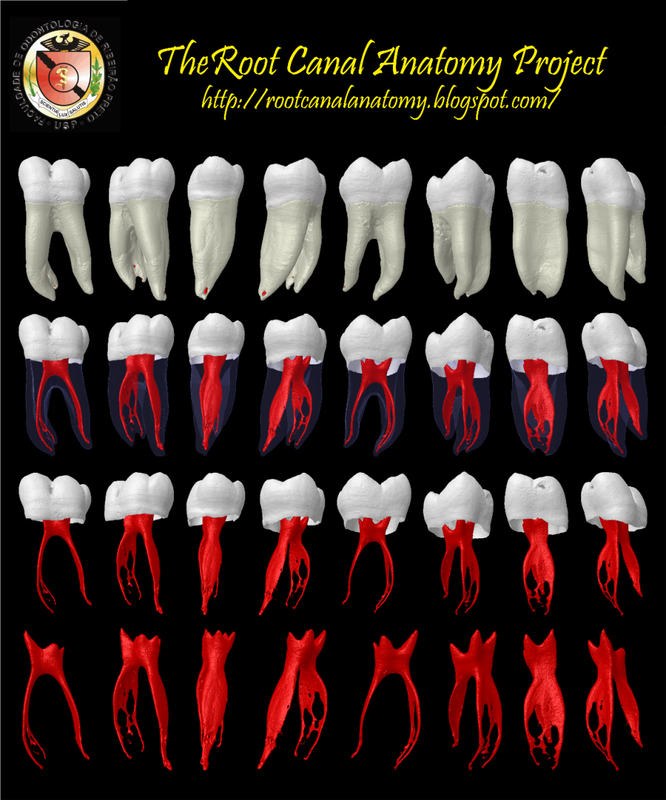 Tooth Morphology and Access Openings. Part One: The Art of Endodontics in Pathway of Pulp, 6th Ed. p. 160).